The information about the Keynote Speakers of ICEENR2018 are as follows, which will be updated regularly. 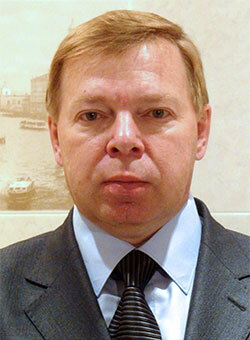 Biography: Dr. Andrey V. Brazhnikov was born in 1959 in Kostroma, Russia. He had his graduation in Electrical Engineering from Krasnoyarsk Polytechnic Institute (Krasnoyarsk, Russia) in 1982 (major in Automatics and Telemechanics, Honors Degree). He received PhD degree in Electromechanics from Tomsk Polytechnic Institute (Tomsk, Russia) in 1985. He is presently an Expert of Russian State Science Foundation (Moscow, Russia), a Doctor Honoris Causa of International Academy of Natural History (Germany), a Professor of Russian Academy of Natural History (Moscow, Russia) and an Associate Professor of Siberian Federal University, Department of Electrical Engineering (Krasnoyarsk, Russia). Now he has more than 200 published scientific works and inventions in the fields of electric machines, electric drives, renewable energy, hydromechanics, aeromechanics, mathematics, theoretical physics, philosophy, etc. His research papers and other works were published in the USA, China, Germany, Japan, South Korea, the Netherlands, Australia, Italy, Great Britain, India, Poland, Bulgaria, Ukraine, and Russia. During period from 1998 till 2018 his biography was included in more than 60 biographical editions published by American Biographical Institute (USA) and International Biographical Centre (Cambridge, England). During 2016 and 2017 he had took part in a few International Scientific Conferences in China as the Chair and a Keynote Speaker. Abstract: One of the main disadvantages of the existing windmill-electric generation plants is their low energy efficiency that equals not more than 20% (if the wind turbine axis is horizontal) or 35% (if this axis is vertical). It is conditioned by low level of the wind energy utilization by the wind turbine current types. In principle, it is possible to increase the wind generators energy efficiency by the increase of the aerodynamic force of lift (i.e. lift) acting on blades of wind turbine (both in a case when the wind turbine axis is horizontal, and in a case when this axis is vertical). But unfortunately at present all known methods of creation of lift are already completely used. The author of this paper worked out the design principles for creating novel types of windmill-electric generation plants. The application of these principles will allow increasing considerably energy efficiency of wind generators. These novel principles of wind generators design are the following. First, the use of novel principle of creation of the aerodynamic (and also hydrodynamic) force of lift that was discovered by the author of this paper. Second, the use of the positive feedback for electric power supply of the energy sources of wind turbine blades. The combined application of the above mentioned principles allows increasing considerably the output electrical power of a wind turbine of the novel type in comparison with the existing wind generators (by a factor of 1.5-2.0). Biography: Dr. Jingbiao Cui is Professor of Physics and Department Chair of Physics and Materials Science at the University of Memphis, USA. He received his Ph.D degree in Physics from University of Science and Technology of China. 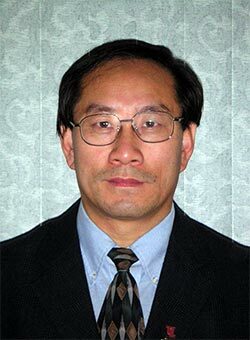 Prior to joining University of Memphis, Dr. Cui was a physics faculty at University of Arkansas at Little Rock and served as director of Arkansas Center for Plasmonic Solar Cell Research which is a state wide center funded by National Science Foundation. He had been conducting research in a number of world renowned institutions including Max-Planck-Institute for Solid State Research, University of Erlangen, University of Cambridge, and Dartmouth College. His research is focused on renewable energy, nanomaterials, nanotechnology, and photonics with over 100 journal publications and 5000 citations. Abstract: Solar cells based on nanocrystals, nanowires and their composites are often referred to as the next generation photovoltaic devices and have attracted much attention in scientific community as well as industries. The advantages of this type of solar cells include reduced reflection, light trapping capability, improved band gap tuning, and increased defect tolerance, which are expected to reduce the quantity and quality of materials necessary to reach high efficiency and allow for cost reductions. The increased interfaces, however, often lead to an increased charge recombination which has a negative impact on the energy conversion efficiency. This talk will address the progresses in nanostructure based solar cells, with an emphasis on nanowire radial junction devices. Current challenges in nanowire solar cell research will also be discussed. Biography: Dr. Bor-Yann Chen is a Distinguished Professor of Chemical and Materials Engineering (C&ME) Department, NIU. His Ph.D. degree was completed in Department of Chemical and Biochemical Engineering, University of California, Irvine in 1995. Prior to NIU recruitment in 1999, he worked as the National Research Council-awarded Research Associate in National Risk Management Research Laboratory, US Environmental Protection Agency, Cincinnati, Ohio. His research is specialized in Biomass-based Energy, Bioremediation Engineering, Bioreactor Engineering, and Environmental Toxicology. Due to his research achievements, he has received 4 times Professor Yen-Ping Shih Best Paper Awards in 2007, 2011, 2013 and 2016 from Taiwan IChE and was awarded as the Distinguished Professor via Taiwan MOST since 2011. 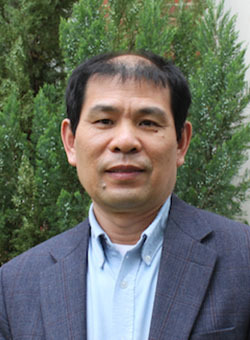 He has published numerous peer-reviewed conference articles and >150 peer-reviewed SCI journal articles (e.g., https://www.researchgate.net/profile/Bor-Yann_Chen or http://www.sciencedirect.com/ for partial publications) and invited to have Plenary, keynote speeches in many International Conferences (e.g., CHEMBIO2016 at http://www.chembioeng.net/2016/keynotespeakers2#speaker1; YABEC 2016 (22nd Symposium of Young Asian Biochemical Engineers' Community) held in Kyushu, Japan on October 27-28, 2016). Abstract: This first-attempt study used extracts of appropriate antioxidant-abundant Camellia and non-Camellia tea and medicinal herbs as model ESs to stably intensify bioelectricity-generating performance in microbial fuel cells (MFCs). As electron shuttles (ESs) could stimulate electron transport phenomena by significant reduction of electron transfer resistance, the efficiency of power generation for energy extraction in microbial fuel cells (MFCs) could be appreicably augmented. Using environmentally friendly natural bioresource as green bioresource of ESs is the most promising to sustainable practicability. According to power-density profiles, supplement of Camellia tea extracts would be the most appropriate, then followed non-Camellia Chrysanthemum tea and medicinal herbs. As antioxidants could scavenge free radicals and active oxygen groups, their electrochemical characteristics were also closely related to electron transfer (ET) capabilities. Cyclic voltammetric analysis also indicated that several test extracts owned promising redox-mediating capabilities to be either antioxidants or ESs. In addition, antioxidant activities, total phenolic contents and power stimulating activities were all electrochemically associated. In particular, the extract of unfermented Camellia tea (i.e., green tea) was the most promising ESs to augment bioenergy extraction compared to other refreshing medicinal herb extracts. Due to abundance of polyphenolics, antioxidant potency of Camellia tea extracts directly determined their redox mediating characteristics to bioenergy recycling. 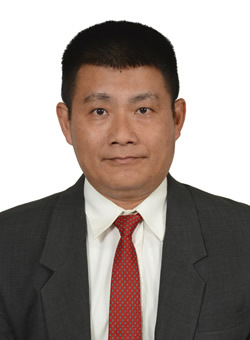 Biography: Dr. Boyun Guo is the director of the Center for Optimization of Petroleum Systems (COPS) of the Energy Institute of Louisiana (EIL) and professor in petroleum engineering at the University of Louisiana at Lafayette, U.S.A. He is also one of the Thousand Talents in China affiliated with China University of Petroleum-Beijing (2010-2015) and Southwest Petroleum University (2016-2020). He received his PhD degree in petroleum engineering from the New Mexico Institute of Mining and Technology, U.S.A. in 1993. His research interest is diversified including development of unconventional energy resources. Dr. Guo has completed numerous research projects sponsored by the U.S. federal and state governments, Nature Science Foundation of China (NDFC), and the oil and gas industry worldwide. He has published over 130 technical papers in professional journals and conferences and 10 books by professional publishers. Dr. Guo is an editor for several professional journals. He has received a number of awards from the oil and gas industry for his outstanding research work and services. Abstract: The gas hydrate deposits at seabed fall into a special category of gas hydrate resources. This study investigated technical feasibility of harvesting natural gas from seabed hydrates using a thermal method called Moving Riser Method (MRM). A mathematical model for heat transfer along the hose assembly in the MRM system was developed. Heat transfer from the injected hot water to the gas hydrate deposit was analyzed. The study concludes that with today’s pipe insulation technology water temperature drops only a few degrees from sea surface level to the seafloor level of 800m deep along an insulated vertical pipe. The injected water at seafloor level will be hot enough to dissociate gas hydrate. Gas production at commercial rate is achievable with affordable gas consumption rates to generate hot water. The level of gas production rate is proportional to the rate at which natural gas is combusted for hot water generation. The gas production to gas combustion ratio (PCR) is greater than 4. The PCR increases slightly with gas combustion rate. Even the gas production ship stays at the same location for over 40 hours, the water-hydrate boundary will still be within 0.9 meter of the hot water injection point. Therefore it is possible to use a gas collector of reasonable size (e.g., 2m in diameter) to gather all dissociate gas from the hydrate deposit. Result of this investigation shows that harvesting natural gas from gas hydrate at seabed with the MRM is technically viable, economically feasible, and environmentally safe. Copyright © 2016-2018 3rd International Conference on Energy, Environment and Natural Resources - All rights reserved.